Notes: During Holidays - please call in advance for hours thank you. you may call or email if any questions or check back for updates. * prices subject to change *click info for ordering guidelines and shipping costs etc. 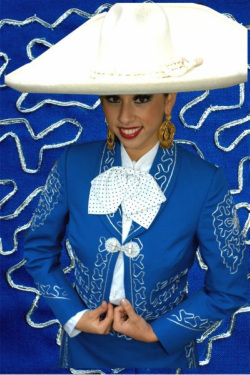 Casa Folklorica was founded due to the scarcity of regional costumes and educational materials dealing with traditional folk dances of Mexico. Today, after careful research of Mexican Folklore, we count on an extensive assortment of folkloric material. Casa Folklorica works in conjunction with the Instituto del Ballet Folklorico Mexicano, whose expertise on the geography, history, music and costumes of Mexico provides assurance that all information and materials distributed accurately represent the folklore of Mexico. To further the services provided to the community, workshops on Mexican Folk Dance and residencies are offered to schools and others who are interested in learning the traditional dances of Mexico. Hours may vary during holidays & weekends....plz call first for store hours. Contact Form: Please contact us by email or phone to place your order.